The planet earth is quite a wonderful mix of different sort of lands. That is why for a travellers a place becomes even more fantastic for the transition it went through right from the lane of historical to contemporary times. Khiva is one such city in Uzbekistan that still carries its traditional colours for everyone to see. Uzbekistan is still less explored destination among Indians but Uzbekis people follow and love Bollywood. 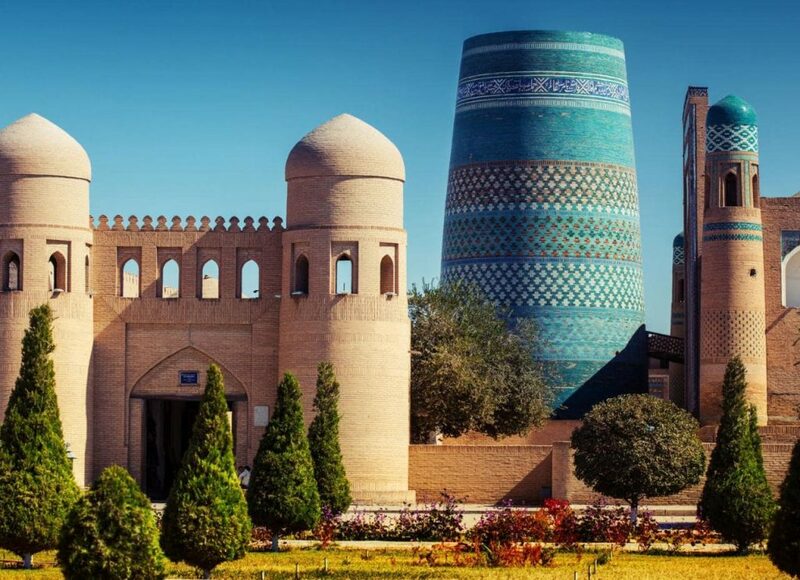 It is time to Explore Khiva and Uzbekistan. 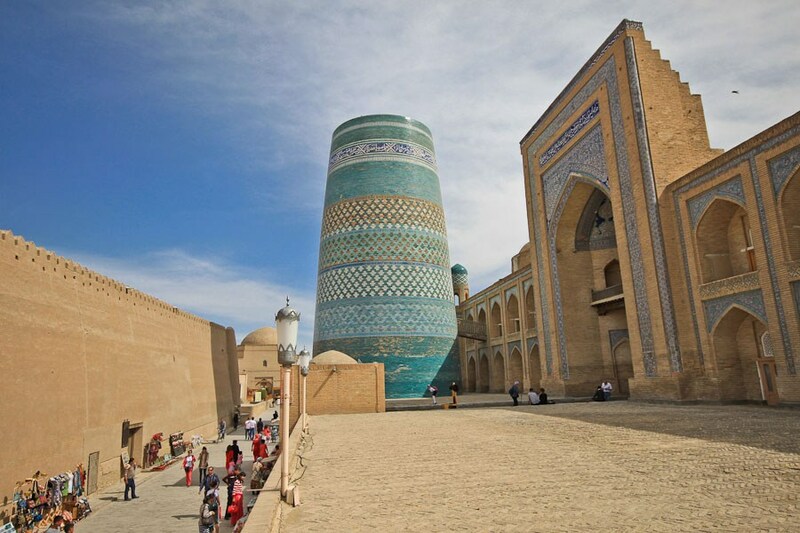 Khiva is one of old cities of ancient Khorezm, the pearl of eastern middle age architecture. Archaeologists say that Khiva was founded in the 5th or 4th centuries B.C. As the first major structures were built, the city became known as trading post on the Silk Road. The city got divided into two parts in 19th century. Inner city is called Ichan Kala with 10 meters high wall and outer city is known as Dishan Kala. The old town retains more than 50 historic monuments and 250 old houses, mostly dating from the 18th or the 19th centuries. 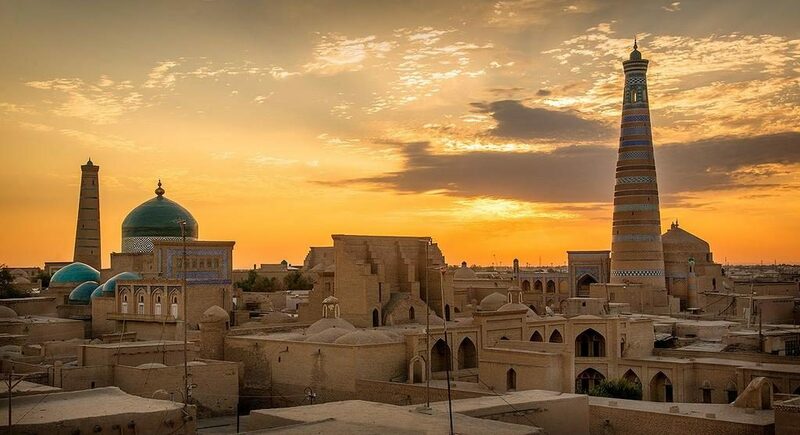 For centuries Khiva has grabbed the imagination with the images of camel caravans loaded with exotic silk and spices, stirring bazaars, glittering madrasahs and tyrannical Khans in Central Asia. 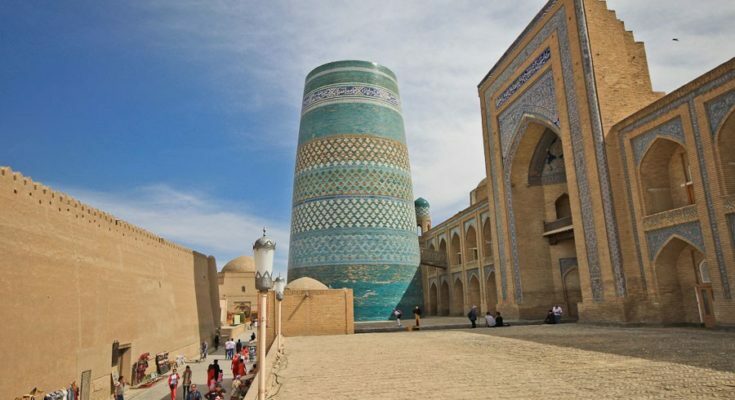 Today, tourists arrive to see Khiva – The most homogeneous example of Islamic architecture in the world, which is full of stunning mosques and madrasahs. Itchan Kala which has been listed as a UNESCO World Heritage Site is a must see place.